Emergency drain line accidents require the expertise of a professional to be fixed accordingly. With over 30 years of experience in the field, our qualified staff at Freedom Plumbers is the best option. As an owner-operated company, we pride ourselves on offering excellent services and fostering trust with our customers by ensuring that the team you call will be the same one to assist you. 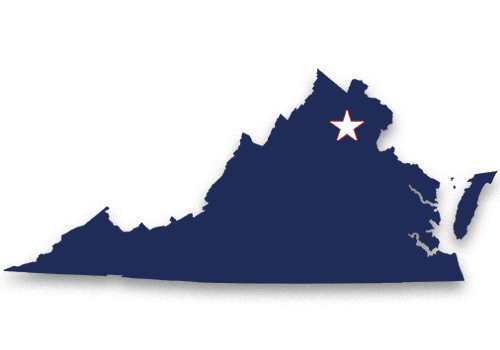 We are proud to be a local company and support our customers across Fairfax, Virginia and the surrounding areas. How Do I Know if My Drain Line Problem is an Emergency? To help avoid sickness and eliminate unsanitary living conditions, our emergency plumbers arrive promptly after a phone call has been made. If your home is flooding prior to our arrival, we recommend placing towels on the floor to soak up the excess water and prevent the walls from experiencing extensive water damage. Upon our arrival, we will conduct an inspection with the finest, state-of-the-art equipment and cameras. Clogs are the formations of organic materials and can be comprised of many different substances that are flushed down the drains, including hair, soap, grease, food, waste, and balls of tree roots. The result of a tightly packed clog in the drains can lead to backups and flooding from the sinks and tubs as well as foul, pungent odors permeating your home. Burst pipelines can be caused by the drains freezing during the winter months or by the pressure caused by tree roots and dense clogs inside of the pipes. Tree roots can travel up to twenty feet in search of nutrients and may pierce a piping system during this search. The tree branch may then cause a clog in the pipe, causing materials to leak into the ground and possibly contaminate the water table. This can be dangerous and bad for the environment if not addressed immediately. A burst pipeline often leads to flooding or major water damage in the walls, floors, or basement on your property. Our LED cameras and leak detection equipment will expose the exact source of the problem and ensure that we have all of the information we need to effectively fix it. By conducting this sewer camera inspection, we will be able to alleviate any current problems and determine what problems may occur in the future. Once we identify the problem, we will communicate the results of our inspections to our customers. This ensures that we don’t make any decisions without your approval while keeping you informed of the situation at hand. We always strive to save you time and money, and we do this through our transparency and efficiency. You will have the peace of mind that our licensed and insured career plumbers will know exactly what to look for and that they will always give you the personalized service you need. If the problem extends to simply removing a clog, we will deploy our sewer snaking equipment to quickly and efficiently get the job done. These tools allow us to snag clogs and pull them out of the pipelines. Our technicians are carefully trained to use these tools effectively in order to avoid puncturing the inside of the pipe. Our snaking services are not only effective but they also serve as the most effective way to clean the drains and will not further harm your system like chemical cleaners do. Chemical cleaners are not only damaging to the human body, burning and irritating the lungs and eyes, but it can’t effectively solve major pipelines and remove dense clogs. The chemicals, at best, temporarily solve minor clogs, but a dangerous side effect of these chemicals is that they will increase the rate of pipeline degradation and corrosion. Once pipes become weakened, they crack and break more easily and frequently, leading to more frequent emergency accidents that require more expensive and rigorous solutions to be solved. Sewer snaking, however, will not harm your pipes, but will instead extend the life of your pipes and allow them to work at their highest efficiency, providing residences and businesses with reliable wastewater flow and removal. This is makes our snaking services the best way to get rid of clogs and prevent them at the same time. On top of that, our services are fast and reliable, ensuring that your emergency situation is resolved quickly. At Freedom Plumbers, we are always ready to assist our customers when their pipes require fast and immediate fixes. After our emergency cleaning services are completed, we will also take the time to discuss and recommend preventative steps to ensure that future accidents don’t occur again. While this can include proactive steps such as throwing away excess grease, we also encourage regular drain cleaning sessions scheduled annually. This will help keep the drain lines clean and clear of problems and other complications. Since our technicians do not only get rid of the clog, but also inspect the pipes to ensure there is not a larger problem, you will be aware and informed on the state of your pipes. Scheduling an annual drain cleaning will prevent emergency drain cleaning and will remove any debris buildup in the system, causing the drains to be more efficient, last longer, and serve you better. At Freedom Plumbers, we are the best at what we do. We will not only fix whatever problem you have the very first time with an individualized solution, but we will also serve as a preventative measure by removing any debris that may cause clogs in the future. We are always professional and will treat your property like it is our own with the highest cleanliness standards. Because our customers are always our highest priority, we are dedicated to bringing you the least stress at the highest value and will always offer reasonable rates. 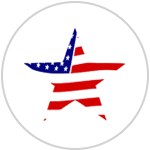 Call Freedom Plumbers today for the best service in the industry!